This is a Guest Post By: Mr.CBB is the voice behind Canadian Budget Binder who says that “It’s not about how much money you make it’s how you save it”. Mr.CBB shares budgeting tips, frugal lifestyle, relationships, recipes, parenting, personal finance and so much more for his over 4500 fans all around the world. After all “money is money, debt is debt” no matter where you live. Come join him on Facebook, Twitter and Pinterest. I’m not going to lie and say it’s easy to spend just $235 a month on groceries for the two of us. In fact, we make mistakes with our grocery budget just like the next person. Sometimes we fall prey to in-store deals that weren’t part of the weekly flyer sales and that we did not plan in our shopping list. When I moved to Canada from the UK back a few years ago, I had no idea how much food cost. I had no idea what kinds of foods were offered in the local grocery stores, nor had I ever seen so many grocery shops in my life. Everything seemed so foreign to me including the language (even though we both speak English). Like the budget, learning my way around Canada took some time and I’m still learning something new every single day. My wife and I never used a budget; in the past we have both been frugal from a young age. I managed to go to University and paid cash for that while working every chance I could. There was something about school that came easy to me and I got bored, so working was the next best thing to do and it made me money, so why not? I bought my first home at age 21 because I wanted in on the housing market as soon as I could. I bought my second home just a few years later. My wife was a bit later than me but bought her first home around the age of 29, but with a healthy down-payment that she had been saving for years. 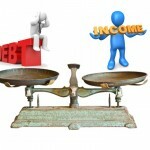 We both came into our relationship with no debt because of our frugal ways. Money was also a topic of discussion early In our relationship especially since personal finance was a big part of our own lives. One thing we did not do was use a budget — there are many people who feel they don’t need one and that’s ok. We were part of that group who really didn’t think they needed to budget since we were “smart with our money”, so we thought. While I went back to school (shortly after I arrived in Canada), in my free time I would surf the internet. I found this website called save.ca that would send coupons right to our mailbox. I signed up and away we went, and coupons started to arrive in the mail. I got used to clipping coupons and then eventually we started keeping a close eye out at the supermarket. While my wife was at work it was my job to do all the grocery shopping, so away I went with my coupons and flyers to get the best deals. Although I had no bloody clue what the best deals were in time I started to learn. It’s so important to know what stores sell products that you typically purchase and which one has the best deal. Once I figured out the pricing system in Canada and how each store valued their products grocery shopping became easier for me. We were stockpiling items using coupons but not a lot since we didn’t have space where we rented. We rented to save more money to put down on our first home together as husband and wife. When we bought our first home we had far more space and more bills, but we were used to that as we had both owned our own homes previously. One thing Mrs.CBB and I both had in common was that we didn’t want to go into debt, nor did we want to hold a mortgage for any longer than we needed. We became the frugal couple, using coupons and stockpiling but also shopping in second-hand stores and trying to save as much as we could. That was never enough for us so we decided to start using a budget. 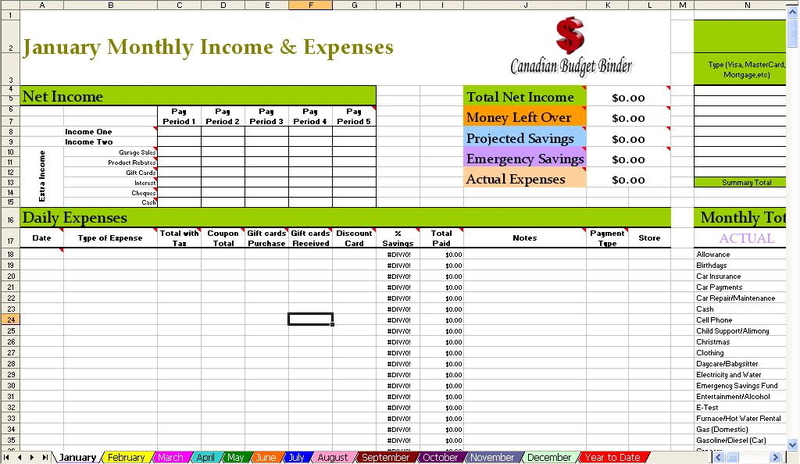 We designed a basic budget for us but over time we realized we needed to modify. From that point we designed a “10 Step Budgeting Series” on the blog to document what we did to put our budget together to help us along the way and others. Sometimes it helps to see your vision come to life on the screen or by using boards in order for it to make sense. One couple we know uses a visual puzzle board they created in order to track paying off their mortgage. 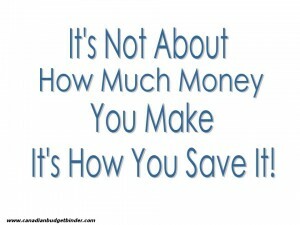 Psychologically seeing the money we save helps us to feel good about how we are attacking our debts. One thing we noticed when using a budget was that it was forever changing especially as we kept learning more about our personal finances. The hard part for some people is they have the “I want it gone now” mentality but sadly with that attitude you are only fooling yourself. It took time to build the debt hole and it takes time to get rid of it. 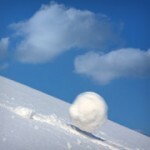 We can relate to the “Gazelle like focus” that Dave Ramsey speaks of and that a fan brought to my attention. It’s a way of thinking about seeking out your prey and going for it while not looking back. It’s an intensity with-in that spurs that drive to get it done. It’s similar to losing weight; the more that comes off the harder you will work to reach your goals. Why stop when you lose 10lbs when you want to lose 20, you are half way there so go for it. One thing we did notice was how much we were spending on groceries even though we thought we were savers. Although we were piling up the savings in terms of not spending as much as we would have if we bought it at regular price we were spending more in general than we should have. Once the budget was in place we budgeted all of our expenses and away we went. Some months are harder than others and like everyone else we need motivation to stay on track. 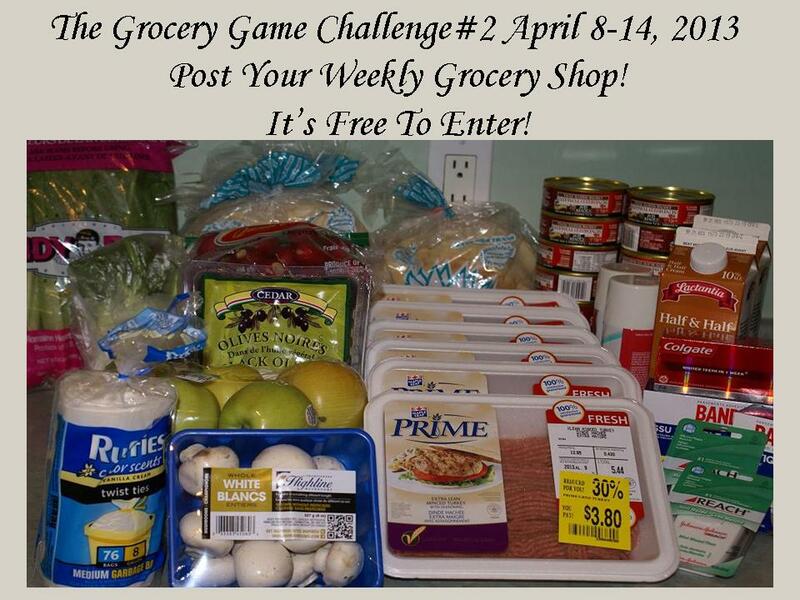 We decided to hold ourselves accountable for our grocery shopping by posting a weekly post every Tuesday on my blog called “The Grocery Game Challenge”. This challenge has since taken off and many fans from around the world have joined for free so they too can save money in their grocery budget. You can see exactly what our budget is and what we spent it on. The fans also track discounts; coupons used, and can add to the list whatever they feel they want to track to keep their budget in tact. We break it down, shop by shop and you can see all the numbers. It’s that important visual I was talking about earlier that helps as well as the fans offering tips and suggestions to get us back on track. Our grocery budget for 2013 is $235.00 a month plus a $20 stockpile budget for items we buy in bulk if they are a great price and we know we will use them. If we don’t use the money in the stockpile budget we just put it back into savings and move on to the next month. If we have any money left in our grocery budget at the end of the month the money gets set aside into a “rendezvous” account for Mrs.CBB which is set up for us to splurge or take a trip once we reach a certain amount. The fans motivate us and sure we fall off track just like everyone else. The month of April has been no exception and we are working hard to get back on the budgeting bandwagon for May. We have to learn to say, “No, we are on a budget” and try to avoid the marketing ploys of the shops and by-pass them but it can be so hard. While holding ourselves accountable we have not only started to meal plan which has saved us more money but we have also continued to use a shopping list and track our expenses in our budget each week. The biggest improvement was also cutting out the foods we don’t need to eat and creating and cooking homemade meals as much as we can. The recipe creations have spurred me into posting one recipe each Sunday on the blog for the fans which have become fairly popular. We also have fans sending in their own recipe and write-ups to share with the CBB community. We cook as a couple which helps us bond in our relationship and takes us to higher levels of understanding each other and our commitment to work as a team. I also put together some free downloadable templates for us and the fans that will help keep us all organized. I’m always adding to my free downloadable lists as we design more lists to help keep us on track. 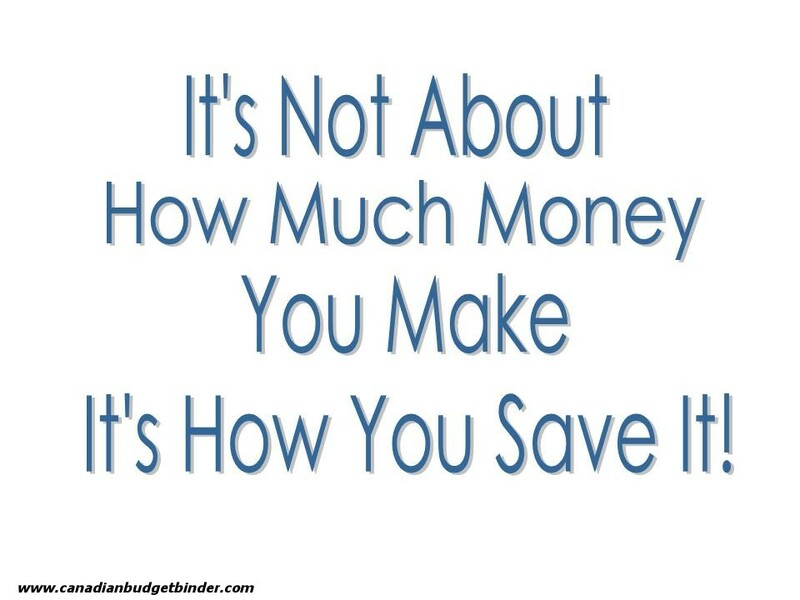 We use all of our money saving tools and have found value in each and every one of them. Below are a few of the lists I have available for free to the fans. The best thing we did for our personal finances and our grocery budget was to set up and design our own budget. Using a budget has allowed us to see exactly where our money was going and enabled us to control that spending. Since using a budget we have saved enough money now to pay our mortgage of $265,000 while still in our 30’s. Our house is also now worth $100,000 more than we purchased it for just 4 years ago. It’s not easy but it’s also not difficult as long as your mind is in the right place. 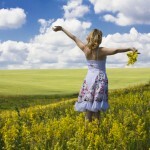 If you think negative that is all you will get, negative results. I’m sure Tony can tell you how staying on track takes positive reinforcement after paying down $100,000 worth of his families own debt. It’s a way of life for us and if you can learn to balance your wants and needs whether it be at the grocery store or in every day life you too can save enough money to work towards becoming debt free so you can wake up in the morning and not have the stress of debt on your shoulders. Saving $235 a month on our groceries is a big part of our overall budget but I believe by tracking all of your expenses you too can get a grip on how much to spend on groceries and what foods you truly need to have in your pantry.